We Can accept customize the baler logger according to users request. Press room length we can make 3000, 4000, 5000, 6000 etc. PLC control system we can use Siemens or Mitsubishi brand. 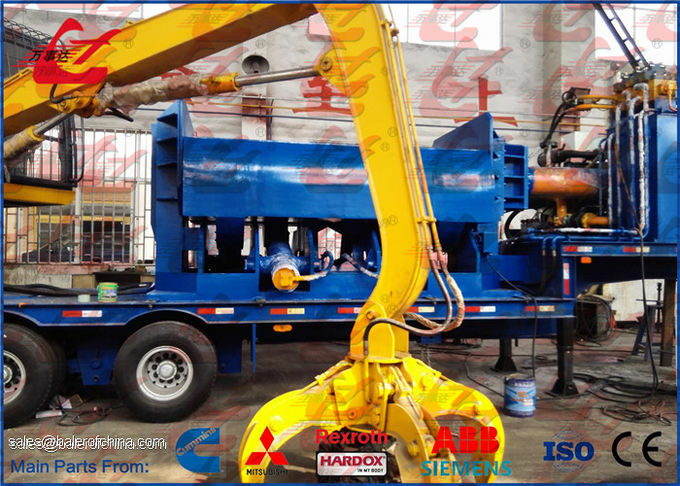 This Y83/D-3000A Trailer mounted Metal Scrap Baler Logger is mainly suitable for the metal smelting factory with medium and large scaled output, metal processing and recycling plant and other places. For the customers in Russia and Ukraine, this product is extremely popular and it is one of our best sellers. Its outstanding stong points are high stable performance, low failure rate, high production efficiency, high density of bales and so on. 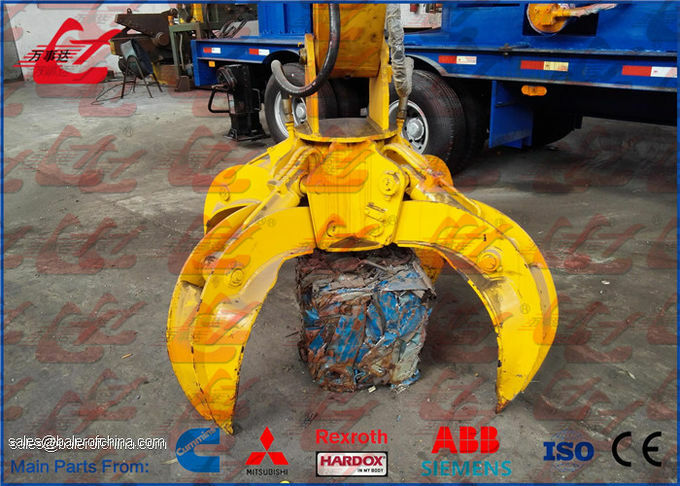 This scrap metal baler logger fully expresses the concept of mobility and versatility. Compared to conventional baling machine, our trailer mounted scrap baler logger needs smaller space and is mounted on trailers in order to work in different working environments. Theoretical dry cycle time 60 sec. 1) Our trailer mounted scrap baler logger is available in two types of power supplies which are electric motor and diesel engine. The diesel engine powered baling machine is extremely convenient for places providing no power. Detailed information please ask for our sales team. 2) Friendly operator interface control or remote control delivers moch easier operation and lower labor cost. 3) This range of scrap baler logger adopt clamping method for compression, and operational grap is available to meet your application needs. 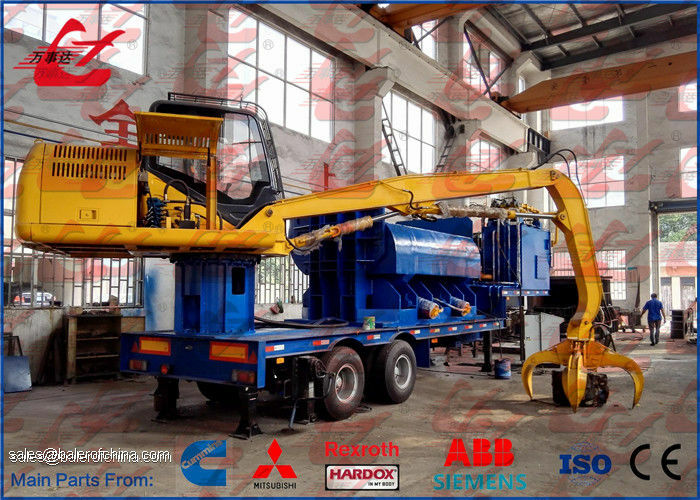 Moreover, if you want more personal operation room or more inforamtion about the scrap handling equipment, please feel free to contact us. 1) Highly distinguished by its utmost loading capacity and power supply. 2) Turbo charger delivers superior knock resistance. 3) Simple structure with no ignition system allows for convenient maintenance and long service life. 4) Diesel contains more energy release and higher compression. Higher compression leads to higher energy efficiency. 5) Being irrespective of working environment, the diesel engine allows scrap metal baler logger to work in places even with no electric power supply.